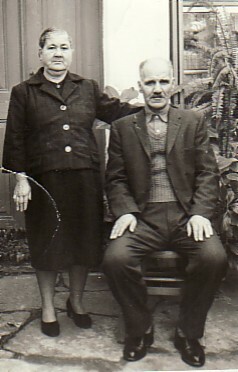 Above: With her husband, Andonios. 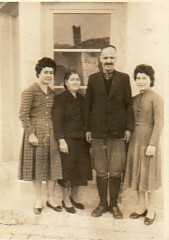 Above Right: With her husband, Andonios, and daughters, Maria and Efstratia. 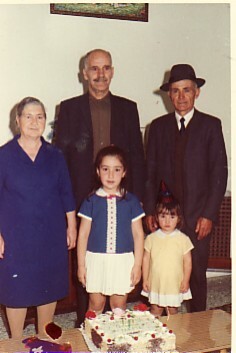 Above: With her husband, Andonios, her grand-daughters, Maria and Eleni, and her sybethero, Fokiou Koresis. . 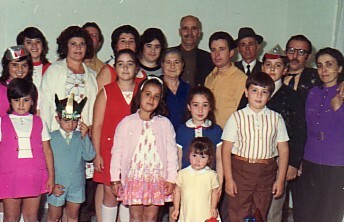 Above Right: At her grand-daughter Eleni's birthday party, with all her family.